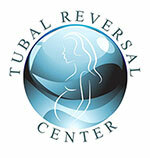 We are happy to offer Tubal Reversal surgery, including facility, surgery and anesthesiology fees, for $5,250. $5,250 is for a mini-laparotomy procedure. Prices for laparoscopic and robotic surgery vary by patient. We require a $1500 deposit to book your surgical appointment. The remaining $3750 is due in full before the surgery is performed.